The murder of 50 Muslim worshipers in New Zealand, allegedly by a 28-year-old Australian white supremacist, will be long scrutinized for the way violent hatreds are spawned and staged on social media and the internet. But now the world should learn from the way Jacinda Ardern, New Zealand’s prime minister, has responded to the horror. 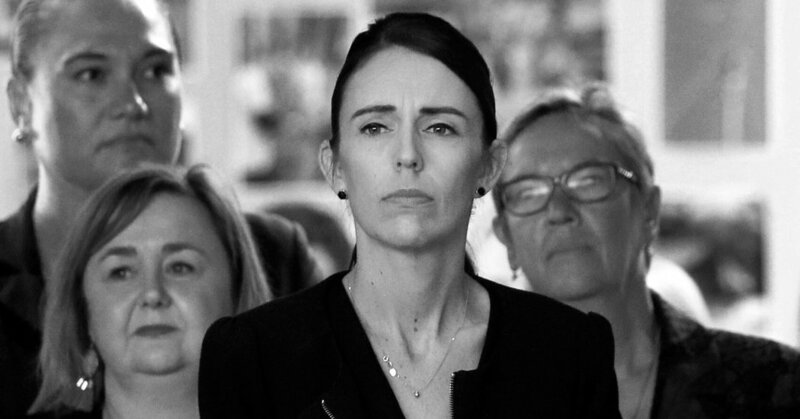 Almost immediately after last Friday’s killings, Ms. Ardern listened to her constituents’ outrage and declared that within days her government would introduce new controls on the military-style weapons that the Christchurch shooter and many of the mass killers in the United States have used on their rampages. And she delivered. Ms. Ardern didn’t propose immediate measures to limit the reach of Facebook, Twitter and other internet publishers, and it’s not obvious what could be done without trampling freedom of speech. But she made clear that she believed that those social media platforms, like gun manufacturers and dealers, bore some responsibility for the carnage visited on Christchurch and so many communities in recent years. The new gun proposal will require considerable fine-tuning and defining before it becomes law. New Zealand’s existing laws are relatively lenient, and a large percentage of the estimated 1.2 million to 1.5 million firearms owned by about 250,000 people are not registered. It is not known how many of these will become illegal under the new laws. But the display of what one deranged man can do with weapons designed for combat seemed to persuade a majority of New Zealanders, and a strong majority in Parliament, of the need to ban rapid-firing weapons. That attitude stood in stark contrast to the way the National Rifle Association and its political allies in the United States have resisted any restrictions on weapons like the AR-15, the semiautomatic rifle used in several mass killings. In New Zealand, it took one mass shooting to awaken the government. In the United States, even a string of mass killings — 26 dead in a school in Newtown, Conn.; 49 in a nightclub in Orlando; 58 at a concert in Las Vegas; 17 in a school in Parkland, Fla. — has not been enough. Nor has the fact that 73 percent of Americans say that more needs to be done to curb gun violence, according to recent polling. After this and any such atrocity, the world’s leaders should unite in clearly condemning racism, sharing in the grief of the victims and stripping the haters of their weapons. Ms. Ardern has shown the way.